Welcome to Talented Tuesday No. 5! Woohoo! It’s week 5 already! 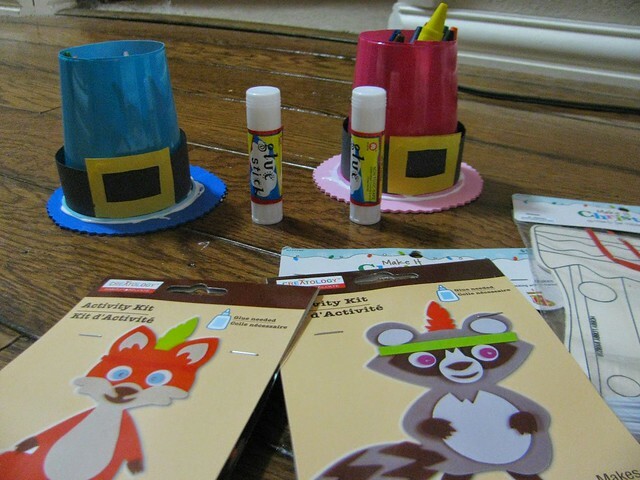 I loved our last party as we had so many holiday ideas to share and use over the coming weeks. This is a great time of year for bloggers as we are all sharing projects in the run up to Christmas. Share the party (and your link) as much as possible..maybe you will be featured next week 🙂 The Talented Tuesday Party is the place where we come together to share any projects that we have been working on. Make sure to check back every Tuesday to see lots of different link ups! 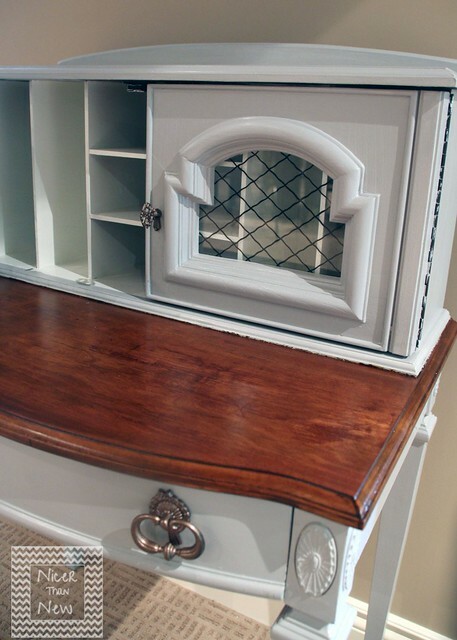 I adore this post from Suzan over at Simply Vintageous. This was our most popular link from last week’s party. I think the transformation of her 70 square foot guest room is gorgeous. The pale colours make the room look much larger and the furniture that she has used is just right for the room. Take a look at her post and leave a comment! Each week we pick 3 links from the previous party to feature on our own Talented Tuesday post. We all pick different features so make sure you head across to the other hostess blogs to check out their picks too! If we do feature a post of yours, make sure to grab the picture below for your sidebar and link it back to this post. With Thanksgiving being on Thursday, I just couldn’t pass on including a themed feature. These Pilgrim hats from Dragonflies & Thistles are so adorable! They are perfect for storing a range of things, ensuring that children are entertained at the table! What a great idea! After declaring my love for vanity tables a few weeks ago in one of my blog posts, I was envious of this makeover and wanted the table for myself. 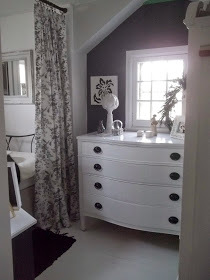 The step by step makeover post is from Redo It Yourself Inspirations. 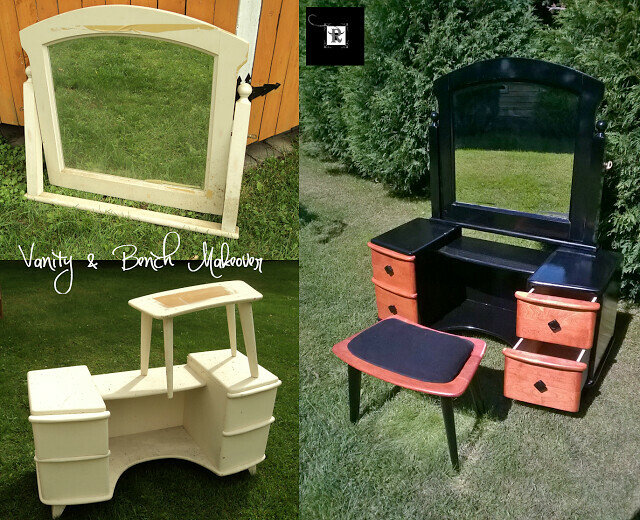 If you are thinking of doing any furniture restorations or makeovers, then this would be a great post to browse through! I couldn’t help it but I was drawn in to reading and gushing over this post too! The updated vintage secretary desk is over at Nicer Than New. I love how Photoshop was used to explore restoration colours; what a brilliant idea! I’m very into writing at the moment and I love sitting at my very boring desk. One day, I hope I own a vintage desk like this! TIME TO START THE PARTY! Please follow your hostesses in some way. We love connecting with you on social media! No giveaways, shops, or link parties please. Link up a maximum of 3 posts from your blog. Visit some other links and leave a comment! Doesn’t everyone love comments? By linking up to this link party, you give us permission to feature an image on our blog and social media. Don’t worry we always give proper credit and links! Don’t forget to grab a button and link back somewhere on your blog! Click here to subscribe for our Talented Tuesday Link Party Reminders and never miss a party! Thank you for featuring my updated Vintage Secretary desk. The client was thrilled with how it turned out. Personally, I wanted to keep it for myself! Thanks SO much for the feature AND for the party! Thank you so much for the wonderful link up and the feature! Chalk & Notch Fringe Pattern Update!